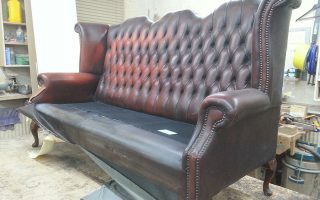 Here are some pics of an interesting job we did recently, the conversion of a three seater leather settee into a smaller two seater. 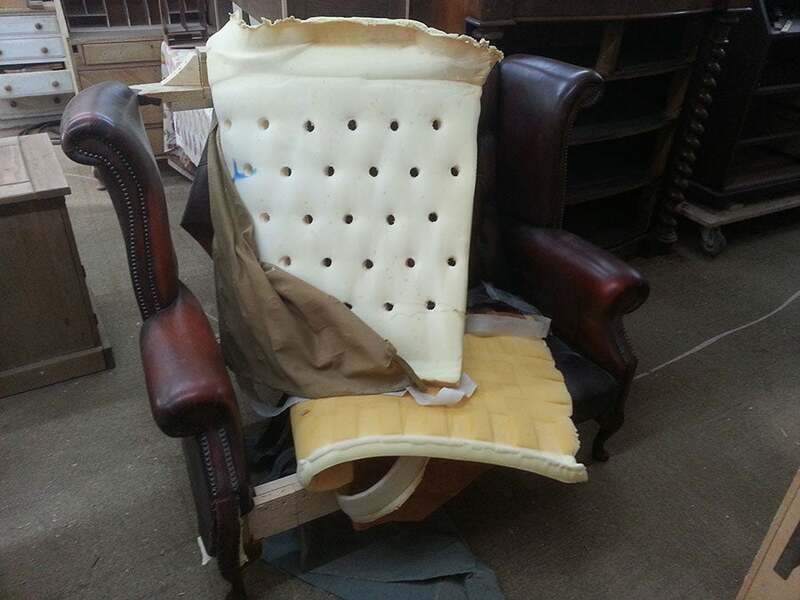 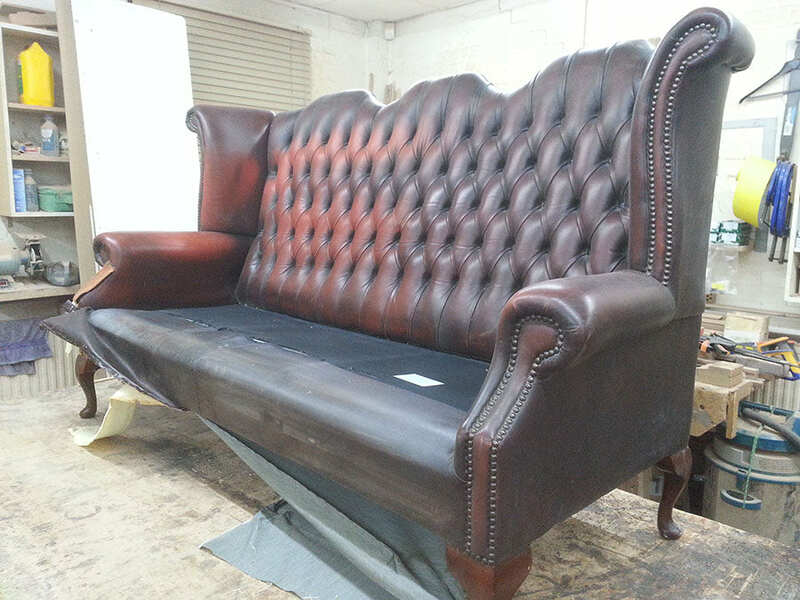 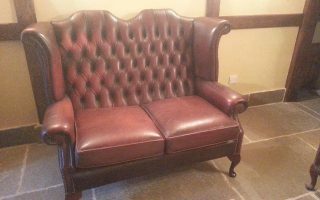 We like a challenge so when a client approached us to ask if we could shrink his three seater leather Chesterfield down to a two seater due to him moving to a smaller place we were happy to take the job on, despite never having done such a job before. 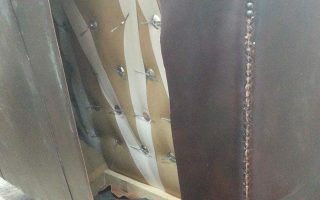 First off was cutting an access panel in the back to see what we were up against construction wise, and then it was a case of carefully peeling everything to one side before cutting a section of frame out and then re-joining it as required in a strong and safe manner. 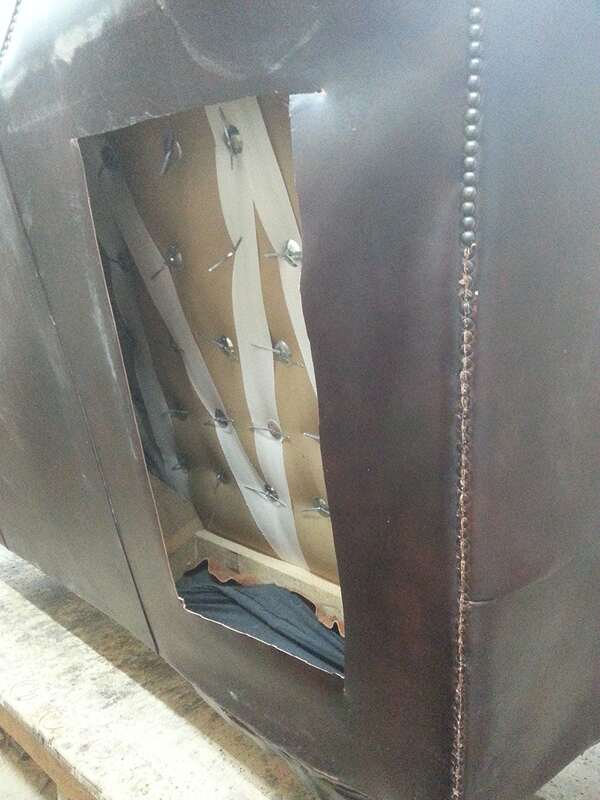 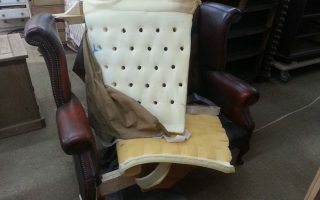 Finally the filling and leather were re-upholstered onto the frame, with care taken to ensure the button holes were even. 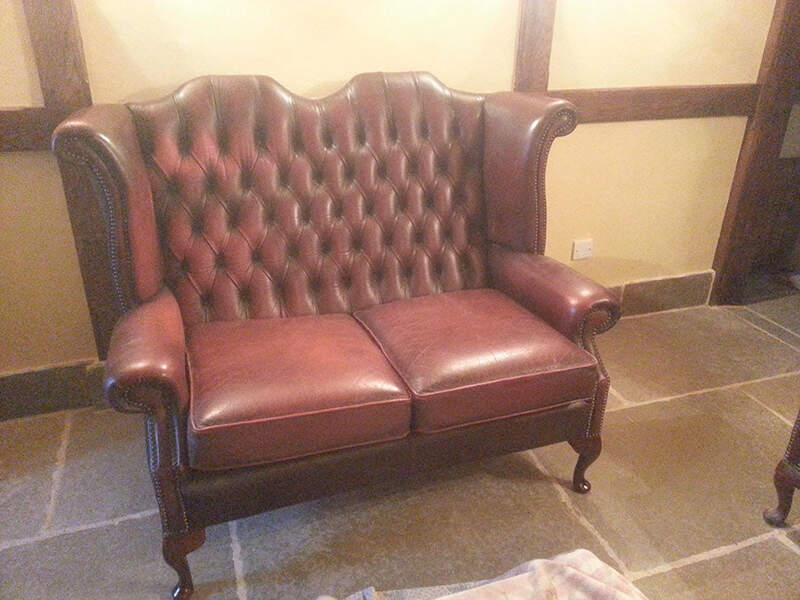 A quick rub down of the timber legs and a re-spray of them and it was job done.